We’ll broadly categorize these into the onsite offers and offsite offers. Let’s start with 5 common type of onsite offers. You can place different banners which provide information about the discounts in your site. These are mostly the static images which display information on your site. Your visitors look on the images of your homepage and then the Navigation menu. Just above that, you can place discount offers on notification bar to increase your sales. Mostly used by news sites to run the latest news events, tickers play a special role. They keep rolling on your site. You can have offers placed on ticker, but the best positions to display offers on ticker will be the top notification, sidebars and above or below some attractive images. These are basically set based on the user behavior. You can set to display welcome pop-up, site section popup and exit intent popup. These ads are mostly useful to reduce the abandonment rates and increase conversions. If you are offering discount to first time shopper, it’ll help them to remember your shop. But don’t stop here if you are offering this discount. Make sure to leave the option open for next discount – the referral discount. This will help gain loyalty of the old customer and bring in another new customer as well. Now here are 5 more promotion ideas to promote sales of your eCommerce site by placing offers out of your site. Making effective use of social media channel will be great to boost your sales. 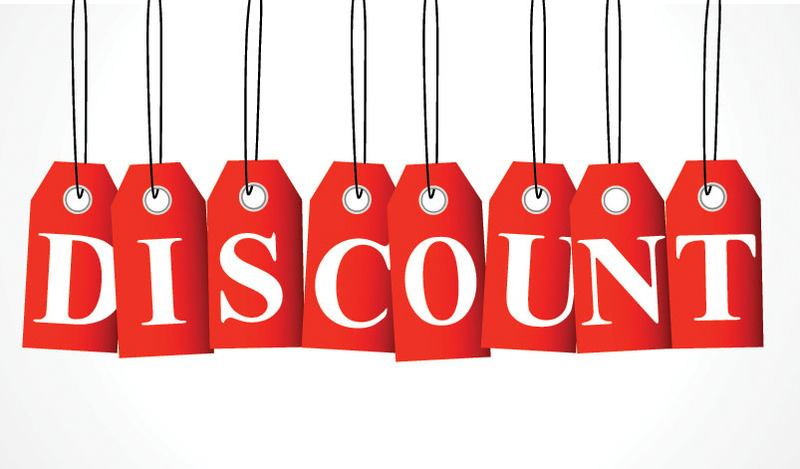 Occasionally you can post Discount offers and links to your social media channels like facebook, twitter, instagram etc. There are a lot of coupon sites who store and list discount codes for sites. Some of these sites harvest email address of their subscribers and send out the discount codes to them as newsletter. If you are promoting for special event, you can send out newsletters with discount offers to your current subscribers. This can be particularly helpful if you have trial customers or if you are willing to upsale your products. If you are running occasional promotion on your local mass media like television, radio or such, you can run the offer or discount codes with those. Make sure you will need to have different code on these channels in order for effective tracking. You can create your display ads with offers using adwords remarketing or Google shopping to the visitors who have already visited your site. Make sure to have smart burn pixel/pages so that when your offers are taken by remarketing customers, they don’t keep seeing them over and again. Bonus: You can also offer previous price / discounted price on different marketplaces where you have listed your products. Now, finally, let’s take a look on the 5 more offer ideas that you can make to your potential customers with the purpose to increase your sales. You can offer a sitewide percentage discount if you are celebrating some specific occasion. These occasions can be your pre-launch discount, Black Friday discount (don’t miss) and other such events. When you have a lot of supply and need to clear your shipping lot, what do you do? Use the discount to make the sales happen quick. Many businesses use limited stock, stock clearance or limited time discount when using this type of discount. Offering free shipping to your customers takes away some part of their expenses and it’s a great way to boost sales of newly launched products. Here you may need to work on the geographical location where you can offer free shipping. You can use this offer if you are expanding your operations to a new area too. Offer your customers with referral packages. After a customer purchases something, you can ask for email address of someone else who would buy such products, and in return for that email, provide a discount or some other gifts. If you offer your customers gifts based on their cart size, chances are you will be able to sell more. This will also offer you the benefit of getting customer loyalty for the time you keep this offer. But once you have this type of offer, you should probably continue using this. Now you have the ideas to use discount and offers in your site to boost the sales. So what type of discount or offer will you use today? Kindly let us know.